Clarke, Juliette. Very Good. 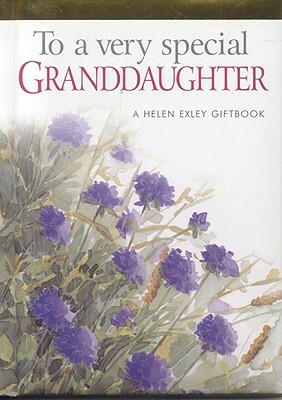 To a Very Special Granddaughter: 1 (Helen Exley Giftbooks) by Helen Exley, 2008-01-01. Sewn binding. Paper over boards. 32 p. Contains: Illustrations, color. Helen Exley Giftbooks. New. 1846342880 Ships promptly from Texas.